Gary the Gull is an interactive movie, which feels like a game due to the players deep interactivity with the virtual environment and its characters. It was premiered in GDC 2016 and I think you have to look at the trailer to get an idea what Gray the Gull is all about. Looks amazing, and I'm sure we'll see more of these interactive Virtual Reality movie type of games in the near future. 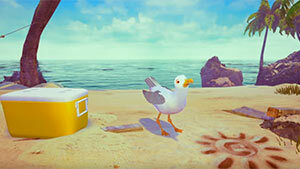 Gary the Gull is an interactive movie, which feels like a game due to the players deep interactivity with the virtual environment and its characters. It was first introduced in GDC 2016, and it has really shown us what the future holds for Virtual Reality. The game will be released for PS4 and PlayStation VR headset. Although it is introduced as a Virtual Reality "interactive movie", this movie allows the player to interact with the environment and the characters in it in. Interactive movies are not a new idea, but that genre wasn't able to lift off. I think VR is an excellent platform for this game genre to prosper in. Of course, we aren't talking about a game where you need to just click an answer on the screen that produces a dynamic event in the story, but a true immersion using voice and physical movement that directly affects the in-game character's feedback. It will feel much more natural and more engaging to take part of that experience. It's like taking the fun part of watching a great movie, but at the same time adding the fun part of gaming and Interactivity into it. By doing so, the person who watches the movie in VR has a much more sense of presence and more immersed because it is given tools to interact with the movie and be a part of it, rather being completely passive and watch out how the story unfolds without him having any part of it. I think that Gary The Gull is an important milestone for VR. Don't get me wrong, I don't expect it to be like a Blockbuster movie. But it has the potential to inspire other developers to think differently and develop more casual games that give more emphasize on character interaction like presented in Gary the Gull. Some gamers mind find it childish, but as an adult, I found it funny, engaging and entertaining. I'm sure the devs has plenty of surprise waiting for us in this interactive narrative-based game and you really need to try it first hand in VR to feel that unique character interaction experience, a YouTube video trailer just can't trigger the emotional responsive that you get when you play it on VR. 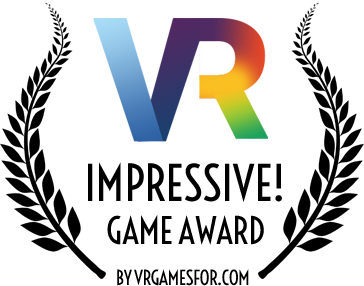 I've read on PlayStation blog that Limitless Ltd, the company who are behind the creative environment production of the game, is making the interactive character technology that was used in Garry the Gull, available to other game developers using their VR Creative Environment. So I assume that the company's vision is to promote its technology and help game developers who are inspired and loved Gary the Gull, to create a similar type of nteractive games. The game will definitely help Motion Entertainment gain more recognition using this new technology, but also it's a great a media that can help promote Limitless Ltd's technology to reach a broader audience. I found Garry the Gull to be really charming and immersive by just watching the trailer. I'm sure that it would be ten times better when played on the PS4 with Sony's PlayStation VR headset. I hope that we see more of these type of games as it really brings a breath of fresh air to the gaming industry, and in my opinion, it needs it.